The Philippine Air Force (PAF; Filipino: Hukbong Himpapawid ng Pilipinas) is the aerial warfare service branch of the Armed Forces of the Philippines. The forerunners of the Philippine Air Force was the Philippine Militia, otherwise known as Philippine National Guard (PNG). On March 17, 1917 Senate President Manuel L. Quezon enacted a bill (Militia Act 2715) for the creation of the Philippine Militia. It was enacted in anticipation that there would be an outbreak of hostilities between United States and Germany. By the end of the First World War, the US Army and Navy began selling aircraft and equipment to the Philippine Militia Commission. The Commission then hired the services of the Curtiss School of Aviation to provide flight training to 33 students at a local base in Parañaque. The early aviation unit was, however, still lacking enough knowledge and equipment to be considered as an air force and was then limited only to air transport duties. On January 2, 1935, Philippine Military Aviation was activated when the 10th Congress passed Commonwealth Act 1494 that provided for the organization of the Philippine Constabulary Air Corps (PCAC). PCAC was renamed as the Philippine Army Air Corps (PAAC) in 1936. It started with only three planes on its inventory. In 1941, PAAC had a total of 54 aircraft including pursuit (fighters) light bombers, reconnaissance aircraft, light transport and trainers. They later engaged the Japanese when they invaded the Philippines in 1941–42, and were reformed in 1945 after the country's liberation. The PAF became a separate military service on July 1, 1947, when President Manuel Roxas issued Executive Order No. 94. This order created the Philippine Naval Patrol and the Air Force as equal branches of the Philippine Army and the Philippine Constabulary under the now Armed Forces of the Philippines becoming Southeast Asia's third air force as a result. The main aircraft type in the earlier era of the PAF was the P-51 Mustang, flown from 1947 to 1959. Ground attack missions were flown against various insurgent groups, with aircraft hit by ground fire but none shot down. In the 1950s the Mustang was used by the Blue Diamonds aerobatic display team. These would be replaced by the jet-powered North American F-86 Sabres in the late 1950s, assisted by Lockheed T-33 Shooting Star and Beechcraft T-34 Mentor trainers. The PAF saw its first international action in the Congo under the UN peacekeeping mission in 1960. During the 70s, the PAF was actively providing air support for the AFP campaign against the MNLF forces in Central Mindanao, aside from doing the airlifting duties for troop movements from Manila and Cebu to the warzone. Traditional workhorses like the UH-1H choppers, L-20 “Beaver” aircraft, and C-47 gunships were mainly used in the campaign. In the same decade, the PAF Self-Reliance Development Group, the forerunner of the Air Force Research and Development Center (AFRDC) was created. The Center enabled the PAF to create prototypes of aircraft aside on going into partnership with the private sector for some of its requirements. In late 1977, the Philippine government purchased 35 secondhand U.S. Navy F-8Hs that were stored at Davis-Monthan AFB in Arizona. Twenty-five of them were refurbished by Vought and the remaining 10 were used for spare parts. As part of the deal, the U.S. would train Philippine pilots in using the TF-8A. They were mostly used for intercepting Soviet bombers. The F-8s were grounded in 1988 and were finally withdrawn from service in 1991 after they were badly damaged by the Mount Pinatubo eruption, and have since been offered for sale as scrap. On February 24, 1986 at the height of political struggle between the Marcoses and the Aquinos, the 15th Strike Wing defected to the Ramos-Enrile camp, taking their squadrons of S-76 “Sikorsky” that later dictated the EDSA People Power Revolution which effectively ended the Marcos rule. A Vought F-8H Crusader (ex U.S. Navy BuNo 148649) of the Philippine Air Force in flight. The following years remained hostile for the Philippines, a series of bloody coup attempts led by then-Col Gregorio Honasan of the Reform the Armed Forces Movement, involved thousands of renegade troops, including elite units from the army and marines, in a coordinated series of attacks on Malacanang and several major military camps in Manila and surrounding provinces, including Sangley and Villamor Air Base, using the T-28 aircraft for aerial assaults. President Corazon Aquino found it necessary to request United States support to put down the uprising. As a result, a large US special operations force was formed and named Operation Classic Resolve, as USAF F4 fighter aircraft stationed at Clark Air Base patrolled above rebel air bases, and two aircraft carriers were positioned off the Philippines. The US operation soon caused the coup to collapse. Additional US forces were then sent to secure the American embassy in Manila. The military uprisings resulted in an estimated US$1.5 billion loss to the Philippine Economy. The Cold War Era has reached its endpoint as tensions between the two ideological rivals, the United States and the Soviet Union, have simmered down as a result of the dissolution of the latter and the massive change of political system among its allies. The importance of territorial defense capability was highlighted in the public eye on 1995 when the AFP published photographs of Chinese structures on Mischief Reef in the Spratlys. The PAF MD-520MG displayed at the Mall of Asia. Initial attempts to improve the capabilities of the Armed Forces happened when a law was passed in the same year for the sale of redundant military installations and devote 35 percent of the proceeds for the AFP upgrades. Subsequently, the legislature passed the AFP Modernization Act. The law sought to modernize the AFP over a 15-year period, with minimum appropriation of 10-billion Pesos per year for the first five years, subject to increase in subsequent years of the program. The modernization fund was to be separate and distinct from the rest of the AFP budget. However, the Asian Financial Crisis struck the region on 1997. This has greatly affected the AFP Modernization Program due to the government's austerity measures meant to turn the economy around after suffering from losses incurred during the financial crisis. 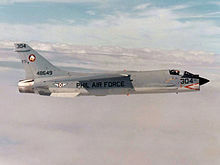 Since the retirement of the Northrop F-5s in September 2005 without a planned replacement, the Philippine air force was left without fighter jets. The PAF resorted to the Aermacchi S-211 trainer jets to fill the void left by the F-5's. These S-211's were later upgraded to light attack capability and used for air and sea patrol and also performed counter-insurgency operations from time to time. The only active fixed wing aircraft to fill the roles were the SF-260 trainers with light attack capability, the OV-10 Bronco light attack and reconnaissance aircraft and the AS-211 warriors (upgraded S-211). The incidents with Chinese presence in the South China Sea prompted the Philippines to proceed with formal measures while challenging the Chinese activities in some of the sea features in the disputed island chain. Hence, the South China Sea Arbitration Case was filed by the Philippines in 2013 at the International Tribunal for the Law of the Sea (ITLOS). Reminiscent to what occurred in 1995, the Congress passed the Revised AFP Modernization Act of 2012, this was meant to replace the older AFP Modernization Act of 1995 signed during former Pres. Fidel V. Ramos’ term, when its 15-year program effectivity expired in 2010. Major air assets acquired in this new modernization program iteration are 12 FA-50 Light Fighters, while those programmed for future procurements are the Multi-Role Fighters and the Maritime Patrol Aircraft, among other equipment. Build the PAF capability to detect, identify, intercept and neutralize intrusions in the Philippine Air Defense Identification Zone (PADIZ) and the South China Sea (to the North and West of the archipelago) from Area Readiness 4 to Area Readiness 3 by 2022. The plan calls for a reorienting of the Philippine Air Force from a primarily internal security role to a territorial defence force. It will require substantial organisational, doctrinal, training, strategic and equipment transformation. On April 2014, the Enhanced Defense Cooperation Agreement was signed by the representatives of the Philippine and US Governments, aimed at bolstering the military alliance of both countries. The agreement allows the United States to rotate troops into the Philippines for extended stays and allows the U.S. to build and operate temporary facilities on Philippine military bases for both American and Philippine forces' use. As of 2016, four PAF bases and one Army camp have been determined by the United States and the Philippines to be utilized under the agreement. The Air Force Bases are Basa Air Base, Antonio Bautista Air Base, Benito Ebuen Air Base, and Lumbia Airfield. The three Tactical Commands are in the direct control of the PAF Leadership while serving his function in the command chain of the AFP. These units are jointly reactivated and reorganized on July 21, 2017 while effectively replacing the 1st, 2nd, and 3rd Air Divisions as part of the PAF Flight Plan 2028. 5th Fighter Wing, Basa Air Base - It is responsible for air defense and interdiction. It replaced the Air Defense Wing after the two were reactivated to their original status on 2017. 7th Tactical Fighter Bulldogs Squadron - currently flies the KAI FA-50PH Fighting Eagle multirole fighter aircraft. 105th Fighter Training Blackjacks Squadron - conducts jet qualification and training for future fighter-bound pilots. Currently flies the Aermacchi AS-211 jet training aircraft. 15th Strike Wing, Danilo Atienza Air Base - It has a basic function of providing air support to surface forces of the AFP. 205th Tactical Helicopter Wing, Benito Ebuen Air Base - It is responsible for conducting tactical helicopter operations in support of the PAF and AFP. The wing currently flies the Bell UH-1H Huey, Dornier-Bell UH-1D Huey, Bell 412EP helicopters. 220th Airlift Wing, Benito Ebuen Air Base - It provides tactical airlift operations in support of the AFP. It is also currently the unit temporarily responsible for conducting long range maritime patrol and air reconnaissance. 250th Presidential Airlift Wing, Villamor Air Base - It provides air transportation to the President of the Philippines, immediate members of his/her family, heads of states, state guests, and very very important persons (VVIP). 251st Presidential Airlift Squadron - currently flies the Fokker F27 Friendship and Fokker F28 Fellowship VVIP aircraft. 252nd Presidential Airlift Squadron - currently flies the Bell 412EP/HP VVIP helicopters. 300th Air Intelligence and Security Wing, Antonio Bautista Air Base - responsible for conducting surveillance, intelligence gathering, and maritime patrol using air and ground assets. 301st Air Intelligence Squadron - currently flies the Cessna 208B Grand Caravan ISR and Turbo Commander 690A ISR aircraft, also provide ISR equipment operators for SABIR-equipped C-130T Hercules when configured for Maritime Patrol Aircraft missions. 355th Aviation Engineering Wing, Clark Air Base - the unit is tasked to provide general engineering support, including construction, repair, rehabilitation and maintenance of PAF aerodrome facilities and utilities. 580th Aircraft Control and Warning Wing, Wallace Air Station - It is responsible for operating air defense and surveillance radar systems of the PAF. It was reactivated on November 3, 2016 after being downgraded to a Group on April 1, 2005. 710th Special Operations Wing, Colonel Ernesto Rabina Air Base - It is responsible for conducting special operations, counter terrorism, and defense of PAF bases and facilities. The unit is also being groomed to be responsible for ground-based air defense system (GBADS) units which is being inducted into the PAF's future capabilities. 505th Search and Rescue Group, Villamor Air Base - It is responsible for air search and rescue operations in support of the AFP and civilian agencies. The unit currently flies the Bell 205A, UH-1H Huey II, Bell UH-1H Super Huey, and the PZL W-3A Sokół as SAR helicopters, and the Sikorsky S-76A and S-70 as Air Ambulances. The Philippine Air Force Blue Diamonds "Sabre" emblem on a F-86F Sabre, circa 1962. The Philippine Air Force had a number of aerobatic teams in which the PAF Blue Diamonds was the first to be founded, and was among the oldest formal flying aerobatic teams in the world. All of the following units are at the inactive status due to eventual retirement of ageing aircraft, most notably the Northrop F-5 Freedom Fighters. The Philippine Air Force has nine major air bases and several radar, communications, and support facilities located throughout the archipelago. Shared facilities with commercial airports currently being used as detachments by the Tactical Operations Command were not included here. OV-10 Bronco United States light attack / surveillance OV-10A/M 8 + (4) upgraded to OV-10M with four-bladed propellers. 4 (2 OV-10A and 2 OV-10G+) to arrive via donation from the US. Bell AH-1 United States attack AH-1F (2) 2 for delivery. Donation from Jordan. PZL W-3 Poland CSAR / utility 6 operated by the 505th SAR Group. The following equipment listed below are either scheduled for delivery or in the planning stages for the next 'horizons' of the AFP Modernization Program. There were several occasions that the PAF tried to modernize its fighter aircraft force, which was left to decline for several decades. In 1991 the newly democratic Russian government offered the PAF several of its aircraft including the Mikoyan MiG-29 and Sukhoi Su-27 during a demonstration held at Villamor Air Base, but the Russian jets could not satisfy the PAF requirements. In 1992 the PAF received offers for both the IAI Kfir and the F-16 Fighting Falcon. After the enactment of the 1995 AFP Modernization Act, the PAF made renewed calls to purchase several fighter aircraft, with the initial plan of having 36 multirole fighters in a span of 15 years. Offers included the American Lockheed Martin F-16C/D Falcon and McDonnell Douglas (now Boeing) F-18C/D Hornet, French Dassault Mirage 2000-5, and the Russian Mikoyan MiG-29. Also offered as alternatives were the embargoed Pakistani F-16A/Bs and ex-French Air Force Mirage F1, and ex-South African Air Force Denel Cheetahs which were rejected as the government was then inclined on obtaining new-build platforms. However, these modernization programs were put on hold after the Philippines' economy was impacted by the 1997 Asian Financial Crisis. Renewed interest would later come on used platforms. In June 2010, the Department of National Defense (DND) was also looking at Canada for used CF-18s or France for its used Mirage F1s, although no decision or purchase came up. In December 2011, the DND and Department of Foreign Affairs (DFA) was tasked to formally request at least a squadron of 12 ex-USAF F-16C/D fighter jets, most probably Block 25 or 30 which would be refurbished to either Block 50 or 52 standards. This was discussed during the US-Philippines "2+2" Meeting on 30 April 2012. The Philippine government would pay for refurbishing, maintenance and pilot training which would run for two years. However, by 2012 the maintenance costs for the used fighters were found to be too high so attention turned to new jet trainers that could be converted into jet fighters. The requirements were listed as "supersonic ability, multifunction displays and On Board Oxygen Generation System." A DND spokesman has said that aircraft from France, the United Kingdom, Italy, and South Korea were considered. It was reported that the DND will be acquiring multirole fighters by 2018. In responding to the Philippine desire for multirole fighters, the United States offered variants of the General Dynamics F-16 Fighting Falcon, and Sweden offered the Saab JAS 39 Gripen. After a throughout study and research, the Department of National Defense prefers the Swedish-made Gripen multi-role supersonic jet fighter, while the PAF MRFAP Technical Working Group was said to prefer the F-16V Block 70 for the Philippine Air Force. A Sikorsky S-76A air ambulance of the Philippine Air Force at Clark Freeport Zone, Angeles City, Pampanga. The Philippine Air Force is looking to replace entire OV-10 Bronco fleet which are currently used for close air support and aerial reconnaissance platforms. Being considered are the Hawker Beechcraft AT-6B Texan II, Embraer EMB-314 Super Tucano, KAI KA-1 Woongbi, Elbit Systems L-159, and reportedly, the Air Tractor AT-802U. A decision from the PAF & DND was expected to be released by July 2012, but was moved to the fourth quarter of 2014 due to bureaucratic constraints. Hawker Beechcraft demonstrated their AT-6B Texan II, together with their other aircraft line, in April 2012 with a display at Clark Air Base. On 20 June 2012, it was reported that the Embraer EMB 314 Super Tucano from Brazil is a possible contender for its aircraft for a total of 6 units, which will be acquired for PhP4.968 billion (US$115 million). In late November 2017, a statement by Embraer noted that the Philippine Air Force had placed an order for 6 Super Tucano aircraft. These planes are set to replace the OV-10 Broncos of the PAF. As of 27 April 2018, negotiations are ongoing for the donation of 2 Bell AH-1F Cobra attack helicopters and several dozen M113A2 armored personnel carriers from the Kingdom of Jordan to help the Philippine Government combat ISIS terrorists. The Philippines formerly plans to acquire 24 light-attack helicopters for its requirement, they will procure these helicopters on Horizon 2 Phase, AFP Modernization which covers to 2018-2022, now it had been changed to purposely built attack helicopters, with the TAI/AgustaWestland T129 ATAK as the main pick by the Defense Department. Following the abrupt cancellation for the order of 16 Bell 412EPi Helicopters from the Canadian Division of Bell Helicopters through a government-to-government contract with the Canadian Commercial Cooperation (CCC), parent company Textron, Inc announced on 27 April 2018 that negotiations were ongoing for the continuation of the sale using their factory in Texas, USA as the manufacturer. During a hearing by the Senate for the budget of the Department of National Defense for 2019, the Commanding General of the PAF confirmed that there are four shortlisted helicopter models for the Combat Utility Helicopter acquisition project: the Bell 412EPI but specifically sourced from the US instead of Canada, the Sikorsky Black Hawk which is considered an expensive option but can be considered based on the package included in the offer; Leonardo's AW139M helicopter, and Russia's Mil Mi-171. And on December 7, 2018, the Defense Department selected the Sikorsky UH-60 Black Hawk Helicopters. In November 2013, the DND released an invitation to bid for the acquisition of 3 brand new Search and Rescue seaplanes with an Integrated Logistics package (ILS). The DND has allotted 2.67 billion pesos for this project. The pre-bid conference was scheduled at November 15, 2013 while the actual bidding was scheduled at November 29, 2013. The seaplanes being offered should be used by the Armed Forces of the country of origin or by the Armed Forces of at least 2 other countries. On 1 July 2014, President Benigno Aquino III announced plans to acquire 2 long range patrol aircraft. A budget of P5.976 million has been allotted under the revised Armed Forces modernization program. Companies reported to have bought bid documents include Alenia Aermacchi, Airbus Military and Elta System Ltd.
^ a b c "History". Philippine Air Force. Archived from the original on July 10, 2012. Retrieved July 21, 2012. ^ "PAF History". paf.mil.ph. Philippine Air Force. Archived from the original on 2012-09-25. Retrieved 2012-06-24. ^ "PAF History". paf.mil.ph. Philippine Air Force. Archived from the original on 2017-12-05. Retrieved 2018-03-19. ^ "F-8 History". MILAVIA. Archived from the original on 2015-10-18. Retrieved 2018-03-19. ^ "Operation Classic Resolve". globalsecurity.org. Archived from the original on 2018-03-19. Retrieved 2018-03-19. ^ "PHILIPPINE SENATE VOTES TO REJECT U.S. BASE RENEWAL". The New York Times. Archived from the original on 2018-03-19. Retrieved 2018-03-19. ^ "CLOSURE OF U.S. MILITARY BASES IN THE PHILIPPINES: IMPACT AND IMPLICATIONS" (PDF). dtic.mil. Archived (PDF) from the original on 2018-03-29. Retrieved 2018-03-19. ^  Archived 2018-03-21 at the Wayback Machine, Retrieved March 21, 2018. ^ [https://web.archive.org/web/20180322015256/http://maxdefense.blogspot.com/2016/06/a-comprehensive-review-of.html?m=1 Archived 2018-03-22 at the Wayback Machine], Retrieved March 21, 2018. ^ John Pike. "SIAI-Marchetti AS-211 Warrior". globalsecurity.org. Archived from the original on 2013-09-27. Retrieved 2013-09-26. ^  Archived 2018-03-22 at the Wayback Machine, Retrieved March 21, 2018. ^  Archived 2017-06-05 at the Wayback Machine, Retrieved March 21, 2018. ^ "Air Force Holds Joint Ceremony for the Deactivation of Air Defense Wing, 1AD, 2AD & 3AD; Reactivation of ADC and Tactical Operations Command; and Activation of Air Mobility Command". paf.mil.ph. Philippine Air Force. 21 July 2017. Archived from the original on 29 September 2017. Retrieved 19 March 2018. ^ "About Us". 15th Strike Wing, Philippine Air Force. Archived from the original on 2016-12-20. Retrieved 2016-12-17. ^ "205th Unit". 205th Tactical Helicopter Wing, Philippine Air Force. Archived from the original on 2016-12-20. Retrieved 2016-12-17. ^ "Mission and Function". 220th Airlift Wing, Philippine Air Force. Archived from the original on 2016-12-22. Retrieved 2016-12-17. ^ "Mission Function". 250th Presidential Airlift Wing, Philippine Air Force. Archived from the original on 2016-12-20. Retrieved 2016-12-17. ^ "Mission Function". 355th Aviation Engineering Wing, Philippine Air Force. Archived from the original on 2016-12-20. Retrieved 2016-12-17. ^ "580th Control and Warning Group Reactivates into a Wing". Philippine Air Force. 2016-11-07. Archived from the original on 2016-12-20. Retrieved 2016-12-17. ^ "Mission & Function". 505th Search and Rescue Group, Philippine Air Force. Archived from the original on 2016-12-20. Retrieved 2016-12-17. ^ a b c d e f g h i j k l m n o p q r s t u v w Hoyle, Craig (4 December 2018). "World Air Forces 2019". Flightglobal Insight. Archived from the original on 23 January 2019. Retrieved 5 January 2019. ^ "North American Rockwell OV-10 Bronco Observation / Light Attack / Close-Air Support (CAS) Aircraft". Military Factory. Archived from the original on 19 December 2013. Retrieved 19 December 2013. ^ Sinapit, Jaime (27 December 2012). "With 3rd C-130 Commissioned, Air Force Boosts Cargo Assets". InterAksyon. Archived from the original on 31 December 2012. Retrieved 3 July 2015. ^ Navallo, Mike (27 July 2017). "PH receives 2 new surveillance planes from US". ABS-CBN. Archived from the original on 28 July 2017. Retrieved 27 July 2017. ^ Peak, Robin (28 July 2017). "U.S. Delivers Two C-208B Aircraft to Philippine Air Force". United States Department of Defense. Archived from the original on 22 December 2017. Retrieved 22 December 2017. ^ a b "Arms Transfers Database". Stockholm International Peace Research Institute. Archived from the original on 14 April 2010. Retrieved 19 February 2013. ^ Santos, David (15 July 2015). "Philippine Air Force tests refurbished UH-1D helicopters". CNN Philippines. Archived from the original on 23 July 2015. Retrieved 3 July 2015. ^ "All PAF W-3A 'Sokols' operational". Zamboanga Times. 17 June 2013. Archived from the original on 12 October 2014. Retrieved 24 December 2014. ^ "250th Presidential Airlift Wing". Global Security. Archived from the original on 23 July 2015. Retrieved 3 July 2015. ^ "Aircraft". Philippine Air Force. Archived from the original on 24 September 2015. Retrieved 3 July 2015. ^ "US delivers ScanEagle UAS to Philippine Air Force". IHS Jane's Defence Weekly. Archived from the original on 13 March 2018. Retrieved 13 March 2018. ^ "Modernization Options". Opus224's Unofficial Philippine Defense Page. Archived from the original on 2012-06-24. ^ "Republic Act 7898: AFP Modernization Act" (PDF). Congress, Republic of the Philippines. 1995-02-23. Archived from the original (PDF) on 2009-03-26. Retrieved 2009-04-08. ^ "Manila narrows fighter choice". Flight International. 1996-10-15. Archived from the original on 2008-12-16. Retrieved 2010-07-02. ^ "DND Shopping around for heavy weapons, trucks". Philstar Online. 2010-06-04. Archived from the original on 2015-06-11. Retrieved 2013-11-20. ^ "Philippines seeks 12 F-16 fighter jets from US". Huffington Post. December 21, 2011. Archived from the original on April 29, 2014. Retrieved January 18, 2012. ^ "PAF seeks 12 F-16 fighter jets from US". April 19, 2012. Archived from the original on April 29, 2014. Retrieved April 28, 2012. ^ "Purchase of new jet fighter eyed." Archived 2016-01-31 at the Wayback Machine BusinessWorld, 16 May 2012. ^ Dudley, Richard. "Philippines Looking to Buy Non-USA Combat Aircraft." Archived 2012-05-25 at the Wayback Machine Defense Update, 20 May 2012. ^ "PHL to get MRF by 2018". balita.ph. 2014-04-01. Archived from the original on 2014-04-08. Retrieved 2014-04-08. ^ Grevatt, Jon (10 October 2018). "US offers to meet Philippine air combat requirements". IHS Jane's 360. Bangkok. Archived from the original on 12 October 2018. Retrieved 12 October 2018. ^ Grevatt, Jon (13 June 2018). "Saab's Gripen positioned for Philippines fighter requirement". IHS Jane's 360. Bangkok. Archived from the original on 14 June 2018. Retrieved 12 October 2018. ^ "Philippines to consider OV-10 replacement". Flightglobal. 2011-01-18. Archived from the original on 2011-01-21. Retrieved 2012-04-28. ^ "AT-6 Texan @ Clark". Archived from the original on 24 December 2014. Retrieved 24 December 2014. ^ "Kickback, ikinakatakot sa pagbili ng fighter jets". ABS-CBNnews.com. 2012-06-20. Archived from the original on 2012-06-20. Retrieved 2012-06-21. ^ Waldron, Greg (30 November 2017). "Manila to beef up attack capability with Super Tucano". FlightGlobal. Singapore. Archived from the original on 3 December 2017. Retrieved 3 December 2017. ^ Khan, Bilal (30 November 2017). "Philippines orders six A-29 Super Tucano from Embraer". Quwa Defence News & Analysis Group. Archived from the original on 3 December 2017. Retrieved 3 December 2017. ^ "Philippine Air Force Selects the A-29 Super Tucano for Close Air Support Role". Embraer. São Paulo, Brazil. 30 November 2017. Archived from the original on 3 December 2017. Retrieved 3 December 2017. ^ a b "Philippine Air Force picks Black Hawks, T129 ATAK choppers". newsinfo.inquirer.net. Archived from the original on 2018-12-14. Retrieved 2019-01-05. ^ "INVITATION TO BID Search and Rescue Seaplane Acquisition Project" (PDF). Department of National Defense (Philippines). Archived (PDF) from the original on 14 March 2014. Retrieved 14 March 2014. ^ "Aquino announces new assets for Philippine Air Force". Solar News Online. 2014-07-01. Archived from the original on 2014-07-14. Retrieved 2014-07-01. ^ "DND postpones bidding for major ticket items". The Philippine Star. 2014-06-15. Archived from the original on 2014-06-17. Retrieved 2014-06-15. Wikimedia Commons has media related to Philippine Air Force.